A preparation meeting for the fourth BIMSTEC summit discussed how BIMSTEC can catalyze regional economic development in the next twenty years. BIMSTEC heads of missions emphasized the need to conclude negotiations for the BIMSTEC Free Trade Agreement, and finalize trade facilitation measures in the BIMSTEC region. India's Central Board of Excise and Customs announced an expansion of scope of India's ATA Carnet facility to include duty-free and tax-free temporary admission of goods for private exhibitions, trade fairs, and meetings. This initiative will contribute effectively to the Government's program to improve the country's 'Ease of Doing Business', and make India a prime destination for international events, conventions, and exhibitions. India Prime Minister Narendra Modi shared the country’s desire to prioritize a trade facilitation agreement (TFA) for services, on 6 September at the G20 Summit in Hangzhou, China, noting its potential to help professionals and business move from one country to another. Mr. Modi said that the service sector has huge potential and contributes significantly to the economy. The Government of India has established a National Committee on Trade Facilitation, in line with a provision contained in the World Trade Organization's Trade Facilitation Agreement. The Committee will be chaired by the Cabinet Secretary, and will lead development of a pan-India road map for trade facilitation. India Minister of State (Independent Charge) of Ministry of Commerce and Industry, Ms. Nirmala Sitharaman, emphasized the need for the Bureau of Indian Standards to internationalize its standards to promote "zero defect" and global standards for made in India products. She called for an end to days of differential standards, and urged the Bureau to increase coordination with concerned ministries to streamline standards for locally made and imported items. India is working on a proposal to ease facilitation issues on trade in services including visa regimes among members of the World Trade Orgagnization (WTO). WTO Director General Roberto Azevedo welcomed India’s proposal for a trade facilitation agreement in services, and requested submission of a proposal to initiate discussions. The Government of India has ratified the World Trade Organization (WTO) Trade Facilitation Agreement, submitting its instrument of acceptance on 22 April 2016. Ms. Anjali Prasad, Ambassador to WTO, India handed over the instrument to WTO Director-General Roberto Azevêdo. India is the 76th WTO member to accept the Agreement. 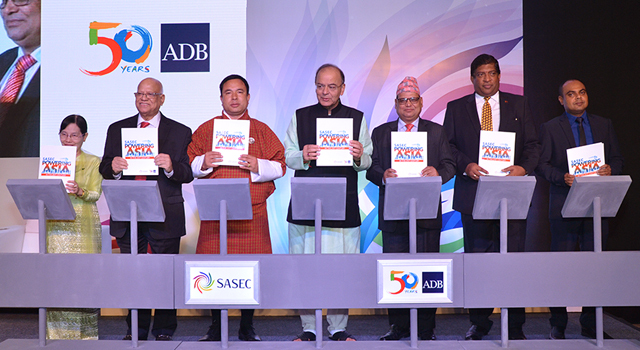 The new SAARC Chamber of Commerce and Industry (CCI) Senior Vice President Ajith Wathuhewa shared that the South Asian Association for Regional Cooperation (SAARC) business visa will be extended from 6 months to 3 years, to be made available by end 2016, to help increase SAARC inter-regional trade. 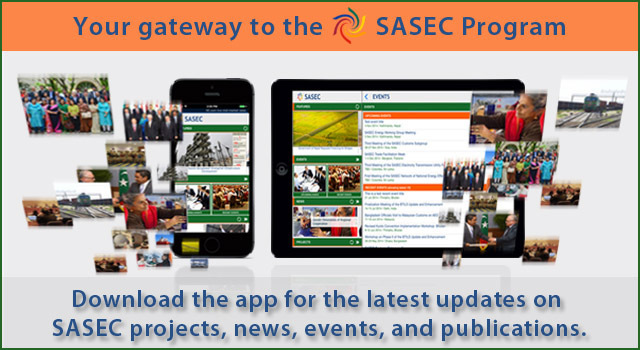 A SAARC Industrial Park in Sri Lanka is also planned to increase trade in the region. India Commerce and Industry Minister Nirmala Sitharaman emphasized the importance of India's service sector to the successful implementation of the World Trade Organization Trade Facilitation Agreement (WTO TFA). According to the Commerce and Industry Minister, India's service sector will sustain the country's vision of port and logistics improvement. India's Central Board of Excise and Customs (CBEC) is implementing an 'Integrated Declaration,' under its Single Window Project to facilitate more efficient processing of Customs clearance for imports and exports, and promote ease of doing business in the country. The electronic Integrated Declaration offers a single point where import traders can lodge information required by Customs and the Partner Government Agencies, replacing 9 separate forms previously required. India's External Affairs Minister Sushma Swaraj called for further consolidation of the South Asian Free Trade Area and the South Asian Trade in Services Agreement to achieve the goal of a South Asian Economic Union, in her address at the 37th SAARC Council of Ministers' Meeting. She said SAARC member countries must work together to harness their economic complementarities and create an environment conducive to rapid growth. The Government of India is set to appoint its Cabinet Secretary as Head of the National Committee on Trade Facilitation, which will facilitate both domestic coordination and implementation of the provisions of the World Trade Organization Trade Facilitation Agreement. The terms of reference for the national committee will be drafted once suggestions from industry associations and border states have been received. The Land Ports Authority of India (LPAI) commemorated its 4th Foundation Day, headed by Mr. Kiren Rijiju, Minister of State for Home Affairs who launched the LPAI logo and website. In his address, Mr. Rijiju reaffirmed the Government's commitment to enhance land borders that will increase trade with neighboring countries. He remarked on the need to explore new trade routes, particularly in the North East region. WTO members were advised to notify the WTO about their technical assistance and capacity-building needs, including the timeframe to ensure effective implementation of the WTO Trade Facilitation Agreement (TFA). The WTO Preparatory Committee on Trade Facilitation has received 81 “Category A” notifications and an increasing number of “Category B”and “Category C” notifications. India has taken a step forward to improve its ease of doing business for local subsidiaries of multinational companies by approving simplified rules governing import pricing. The amended Customs rules removed the mandatory deposit of extra duty on imported goods by related parties, including Indian arms of import-dependent multinationals. Sri Lanka's Colombo Port will be expanded through a public–private partnership initiative, with support from the Asian Development Bank (ADB). The Sri Lanka Ports Authority and ADB signed a $500 million transaction advisory services agreement for upgrading of the port's East Container Terminal. The project is set to improve the port’s value proposition by bringing leading operations and technology from the private sector. India's Commerce Minister Nirmala Sitharaman highlighted the significance of the Cabinet's decision to ratify the World Trade Organization Trade Facilitation Agreement (WTO TFA), and affirmed the Government's initiatives to improve systems within India for trade facilitation. She also discussed necessary provisions that India should adopt to comply with the Agreement. India's Central Board Of Excise and Customs celebrated International Customs Day 2016. In observance of the theme, 'Digital Customs: Progressive Engagement', a presentation on digitization in Indian Customs was delivered, and 3 digital initiatives were launched. Mr. R. Chandra Shekhar, President, National Association of Software and Services Companies, highlighted the strides made by the department in digitization of Customs processes. Sri Lanka's Cabinet of Ministers has given its approval to ratify the World Trade Organization Trade Facilitation Agreement (WTO TFA), following a proposal made by Sri Lanka's Minister of Industries and Commerce, Mr. Rishad Bathiudeen. The TFA will maintain the country's competitiveness in global and naval trade. Upgrading 2,000-kilometers of India's Diamond Harbor Road (National Highway-117 and NH-35), linking Barasat and Petrapole through an expressway, and constructing a bridge across the Muri Ganga River to connect Sagar Island with the mainland would facilitate better port connectivity and promote greater regional cooperation in India. 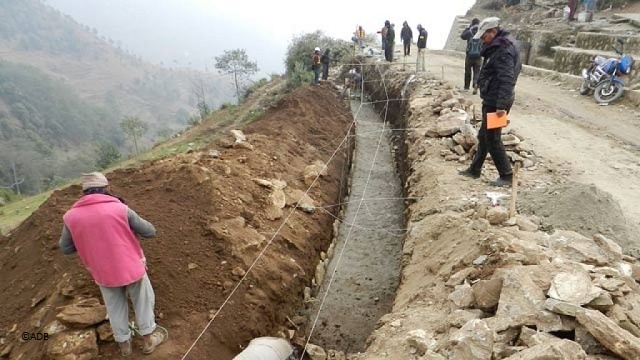 An ADB loan is anticipated to support this project. The Republic of Macedonia became the 50th country to submit its ratification of the World Trade Organization's (WTO) Trade Facilitation Agreement (TFA). This submission follows the ratification recently deposited by the EU on behalf of its 28 member states, which gave a huge boost toward efforts to bring the Agreement into force. The WTO reported a sharp rise in ratifications, with the number of acceptance instruments received tripling by June 2015. The technical committees of Bangladesh, Bhutan, India, and Nepal (BBIN) wrapped up a two-day meeting for the BBIN Motor Vehicles Agreement (MVA) protocol negotiations on 9 September 2015. The Meeting initiated negotiations, reaching agreement on guidelines on cross-border movement of passenger and cargo vehicles. World Customs Organization (WCO) Secretary General Kunio Mikuriya and World Trade Organization (WTO) Director General Roberto Azevêdo spoke at the Asian Development Bank Beyond Tariffs Forum in Manila on 21 May 2015. Director General Azevêdo outlined the origins of the WTO Agreement on Trade Facilitation while Secretary General Mikuriya spoke about WCO’s collaborative approach with the WTO in TFA implementation. The Government of China pledged to contribute $500,000 to World Trade Organization (WTO) Least Developed Countries (LDCs) and Accessions Program or the China Program. This will enable LDCs to better integrate into the global economy by strengthening their participation in WTO activities and helping members accede to the WTO. South Asian Association for Regional Cooperation countries are finalizing mutually acceptable standards in five sectors: food and agricultural products, jute, textile and leather, building materials, chemicals and chemical products, and electrical and electronic products. These sectors have significant trade interest for member countries. The World Customs Organization celebrated International Customs Day on 26 January 2015 to promote Coordinated Border Management (CBM) under the theme, “Coordinated Border Management – An inclusive approach for connecting stakeholders”. CBM is now recognized by the Customs community as a potential solution of the 21st century. 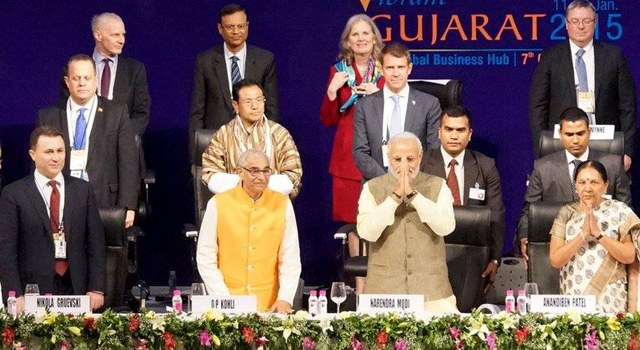 Indian Prime Minister Narendra Modi promised to make India the easiest destination to do business with at the inauguration of the Vibrant Gujarat Summit on 11 January 2015. With global leaders and foreign investors in attendance, he highlighted India's investor-friendly climate, and said that India is working to upgrade its manufacturing infrastructure by modernizing ports and improving road and rail connectivity. The deadline for adoption of the World Trade Organization’s (WTO) Trade Facilitation Agreement passed on 31 July without reaching a consensus. WTO Director General Roberto Azevêdo reports "the remaining gaps are unbridgeable with the time that we have." 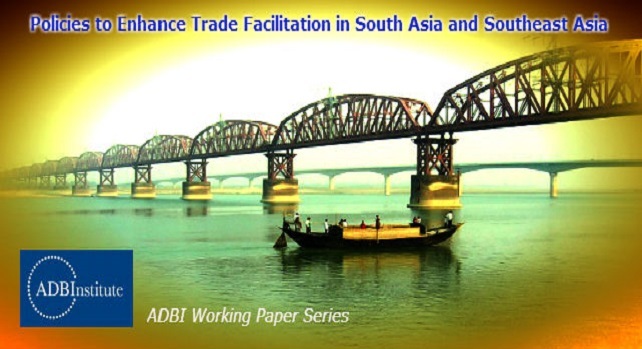 This Asian Development Bank Institute publication identifies the state of play of trade facilitation and provides an overview of intra- and inter-regional trade in South and Southeast Asia. Key challenges and bottlenecks to effective trade facilitation range from the lack of expert human resources, high border transaction costs, and the lack of effective dialogue on bilateral enhancement of trade facilitation. World Trade Organization (WTO) Director General Roberto Azevêdo visited SASEC member countries Bangladesh on June 3, 2014 and Nepal on June 4-5, 2014, highlighting achievements of the recent Ninth WTO Ministerial Meeting held in Bali in December 2013, and discussing key trade issues. The Bali Trade and Development Symposium (TDS) which took place on the sidelines of the Ninth WTO Ministerial Conference discussed governmental and non-governmental stakeholder issues on trade and sustainable development and addressed challenges facing the multilateral trade system. Panelists emphasized the uncertain role of WTO negotiations and highlighted the need to focus on food security and renewable energy.